All too easy for Croatia against a desperately inept poorly motivated Cameroon team. They require a win in their final group match against Mexico to guarantee a place in the knockout stages. Substitute Eduardo shoots from the edge of the area but his effort is parried by Itandje…straight to Mandzukic, who calmly slots the ball into the net. There are 7 Cameroon defenders in the penalty area, but none of them pick up Mario Mandzukic, who rises to head head home a corner. Cameroon goalkeeper Charles Itandje kicks the ball straight to Perisic on the left wing, and he sets off down the flank before beating the keeper at his near post. Croatia lead Cameroon by a solitary goal, but the Africa side have been reduced to ten men following the idiotic dismissal of Alex Song. A moment of utter stupidity from Cameroon’s Alex Song, who is sent off following an of-the-ball clash with Mario Mandzukic. Perisisc is bursting forward for Croatia but the referee blows up after Song elbows Mandzukic in the back. Down to ten men, trailing 1-0, it’s hard to see any way back now for Cameroon. It’s come against the run of play but it’s a wonderful goal from Croatia. 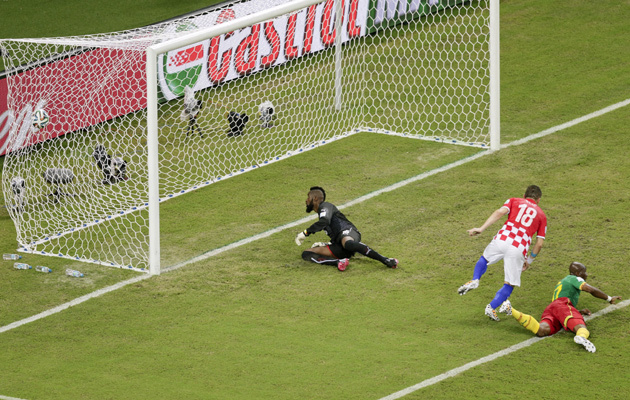 A long ball drops to Ivan Perisic, who provides a slide rule pass for Ivica Olic to slot in from close range. Cameroon captain Samuel Eto’o has a knee injuryand is left out of the starting line-up. Vincent Aboubakar replaces him. Croatia’s Bayern Munich forward Mario Mandzukic starts after serving a one-match ban against Brazil, with Nikica Jelavic moving to the bench. Cameroon: Itandje, Assou-Ekotto, Nkoulou, Song, Moukandjo, Aboubakar, Choupo Moting, Chedjou, Mbia, Enoh, Matip. Croatia: Pletikosa, Pranjic, Perisic, Corluka, Lovren, Rakitic, Modric, Srna, Mandzukic, Olic, Sammir. Spain, the holders, are out! 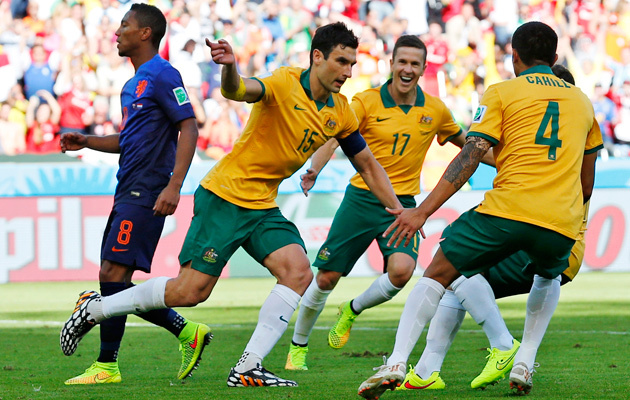 That result also means that both Chile and Holland are through to the knockout stages, while Australia are also out. It was a disappointing exit for the world champions – a team that has brought us so much joy over the last 6 years. But, all great teams come to an end, and a tired-looking Spanish side seemed to accept that their time was up. Amid the post-mortems that will now ensue, it should not be forgotten that Chile fully deserved their win and justified their pre-tournament status as genuine dark horses at Brazil 2014. On a number of levels they are ones to watch. How did he miss? That’s a huge chance for Spain. Sergio Ramos’ free-kick is punched out by Claudio Bravo but is returned acrobatically by Javi Martinez whose cross falls to Sergio Busquets, but the Barcelona man screws his shot wide from five yards out. Horrible miss. .
At the moment, the holders and the dominant side of international football of the 21st century are going out of the tournament. Not with a bang either, but with barely a whimper. Iker Casillas punched out a straightforward free-kick from Alexis Sanchez in to the path of Charlez Aranguiz though, who finishes superbly. 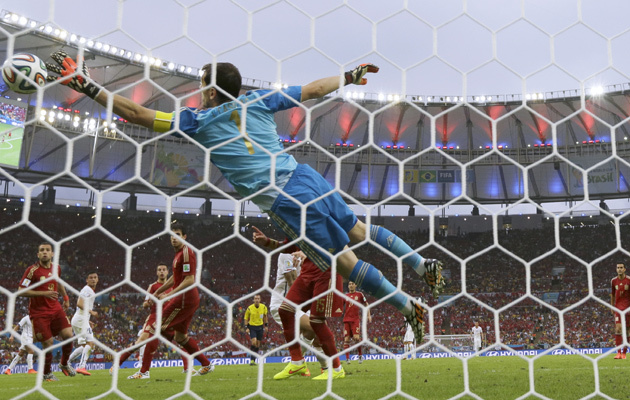 One touch to control the ball, before a curled toe poke past the despairing dive of Casillas. Brilliant goal by Chile. Out passing the pass masters of Spain. Alexis Sanchez works the ball inside to Charles Aranguiz, who squares it to Eduardo Vargas, who skips inside Iker Casillas before stabbing it home. The referee blows his whistle to signal the end of a thrilling game of football. Holland emerge victorious, but they know they have taken to their limits by an indefatigable Australia side who simply did not know when they were beaten. The Socceroos are almost certainly out, while it would take a bizarre sequence of results to prevent Holland npw reaching the knockout stages,. Just second after Australia squander a great chance to take the lead, Holland are ahead. The goal comes through a long range strike from substitute Memphis Depay which somehow passes through the hands of Mat Ryan. It’s well struck but the keeper really should have saved that. All square again after Van Persie finds himself unmarked in the Australian penalty area and rifles a shot into the roof of the net. Mile Jedinak strides up and send the goalkeeper the wrong way to put Australia ahead. Australia awarded a penalty. It’s a soft one as, although Daryl Janmaat clearly handled the ball, there appeared no intent on the defender’s part. 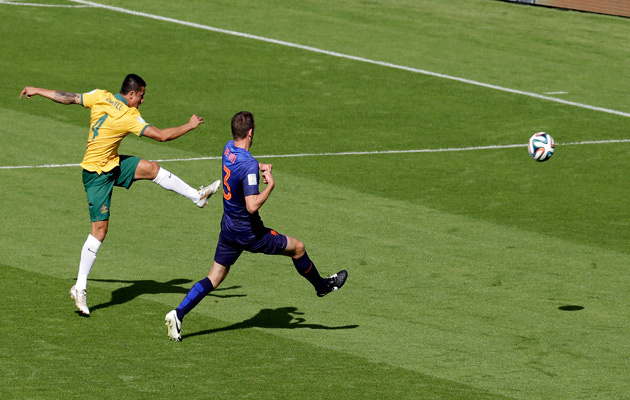 Robin Van Persie emulates Tim Cahill and picks up his second yellow card of the tournament by fouling Matthew Spiranovic. The striker will miss the final group game against Chile. How significant might that turn out to be? 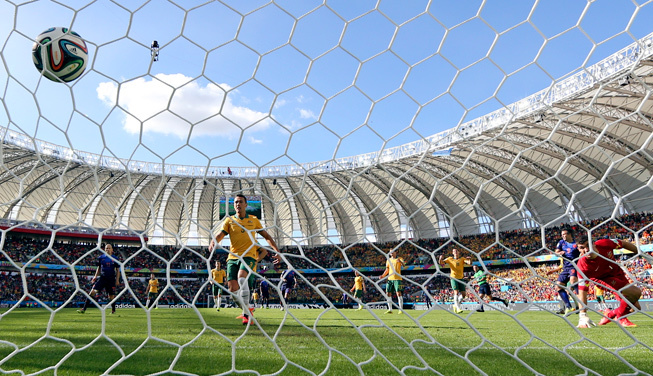 Australia’s goalscorer Cahill clatters into Bruno Martins and becomes the first name in the referee’s book. That yellow card means Cahill will miss the Socceroos final group game against Spain. The lead lasts less than a minute before a wonder strike from Tim Cahill levels the scores. A hopeful cross is swung in towards the edge of the Dutch penalty area, where Cahill smashes a fantastic left foot volley into the roof of the net. Stunning strike! 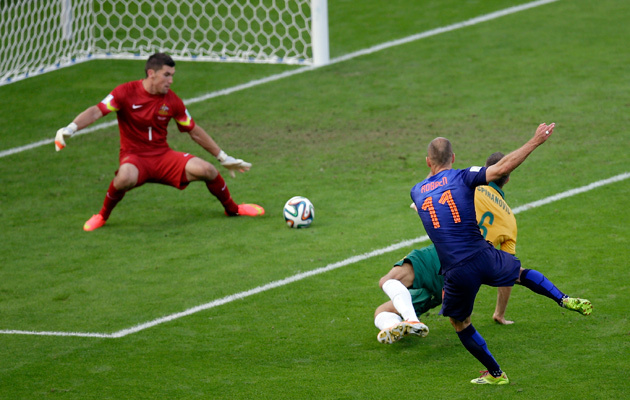 Arjen Robben opens the scoring for Holland against Australia. Holland go ahead through the irrepressible Arjen Robben. He outwits Alex Wilkinson on the halfway line, sprints into the penalty area and dispatches a low drive past Mat Ryan. The teams have been announced for today’s game in Porto Alegre. Australia make two changes from their opening game defeat against Chile. Ryan McGowan comes in for right-back Ivan Franjic, who has a hamstring injury, and the other sees midfielder Matt McKay replaces Mark Milligan. Unsurprisingly, after their 5-1 thrashing of Spain, coach Louis van Gaal names an unchanged side. Australia: Ryan, Davidson, Cahill, Spiranovic, Leckie, Oar, Jedinak, McKay, McGowan, Wilkinson, Bresciano. Netherlands: Cillessen, Vlaar, De Vrij, Martins Indi, Blind, De Jong, Janmaat, De Guzman, Van Persie, Sneijder, Robben. Plus, you can read our tactical guide to both teams here. Brazil coach Luiz Felipe Scolari takes a bizarre approach in defending Brazil following their underwhelming performance against Mexico. He attacks journalists for their criticism of Fred, after he was widely perceived to have dived to win a penalty in their opening match against Croatia. What that had to do with last goalless draw is anyone’s guess. He can’t seriously think that this should have been a penalty, can he? Once again Brazil has not let us down. 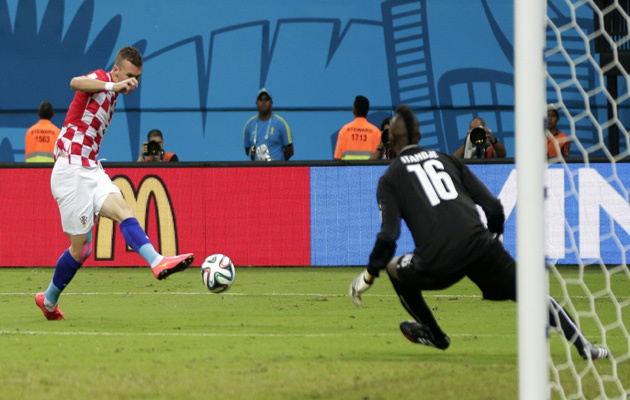 The last 24 hours have provided a wonderful array of photographs from the World Cup. “The dark shadow over FIFA and the Qatar World Cup scandal has deepened ominously,” or so says World Soccer’s Brian Glanville, a consistent and strident critic of the decision to award the 2022 World Cup to Qatar. Here he talks about the latest revelations about Qatar 2022 as well as delivering his initial thoughts about the current World Cup. Spain’s showdown with Chile will be played at the iconic Maracan stadium. Tonight’s game coincides with the 64th anniversary of the venue – formally named the Estadio Mario Filho – being opened. Brazil legend Zico scored more goals than any other at the Maracana. Here he tallks about the rebuilt stadium (and why it had to be upgraded) and also about the chances of Brazil triumphing on home soil. Day 7 is upon us and it promises to be a cracker and one with profound implications for the tournament as a whole. It would be too early to describe holders Spain’s clash with Chile as a defining match of Brazil 2014, but it is certainly one which will have hugely ramifications for the current generation of Spanish footballers. 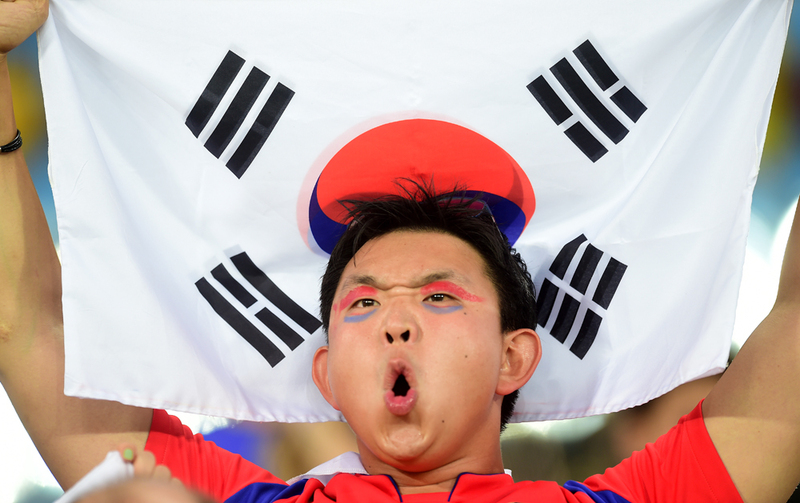 Will this game mark the end of the era for one of the great international teams? If it does and the signs were there in their 5-1 thrashing by Holland that it might, one is reminded of the Ernest Hemingway quote about nature of decline. When it occurs, he said, it is both gradual and sudden.